Staff Sgt. Joe Jones from the U.S. Army Parachute Team, pitches the drogue as he takes Medal of Honor recipient Staff Sgt. 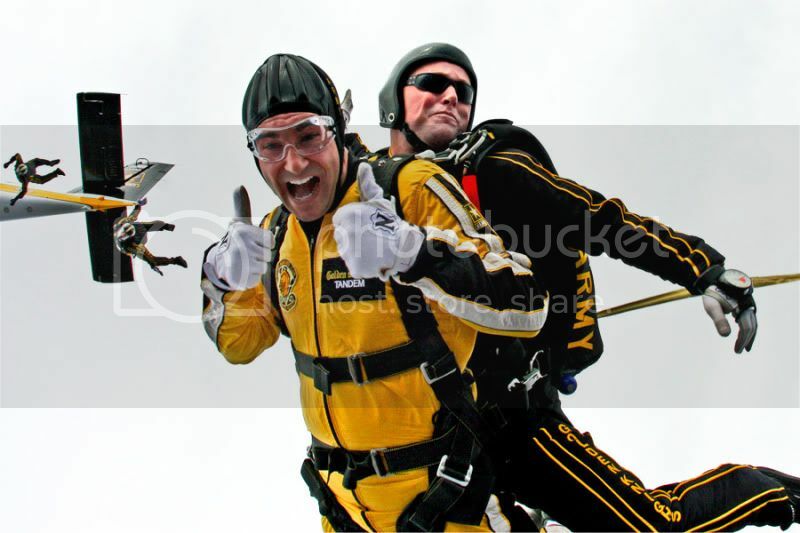 Salvatore Giunta for a 14,000 ft. tandem skydive over Stinson Airfield, San Antonio. Sgt. Maj. Stephen Young and Lt. Col. Joe Martin are seen diving out behind. It's one of our sand drag heroe's Chad Ohmer on his stomach last week in Afghan, covering David Rico Ruiz while he works on the radio. 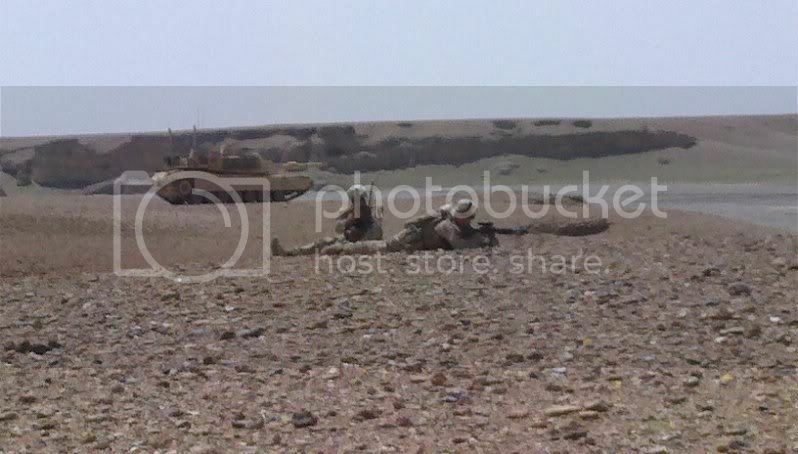 They were taking IDF (Indirect fire) from Taliban mortars...landing about 100 meters away. It was a big mission where they needed to take tanks. The second photo is Chad on the right with Angel Jacquez on the left. 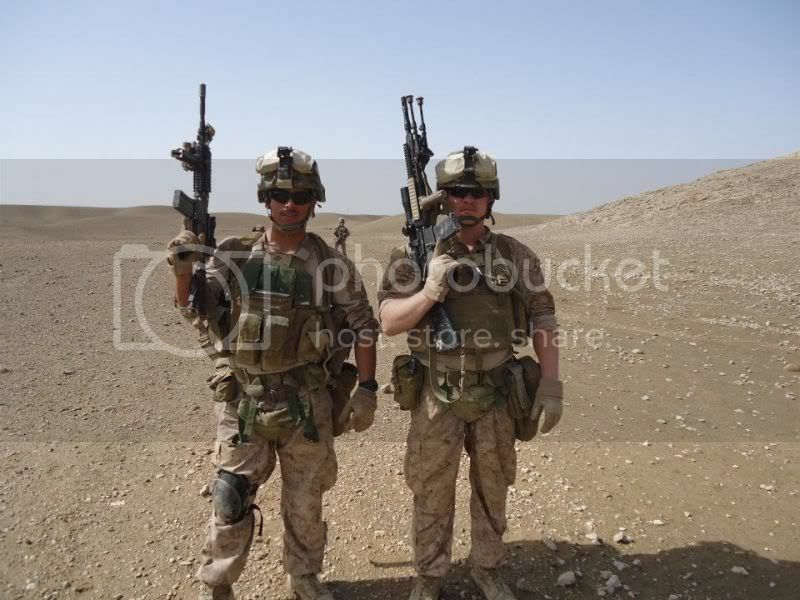 As always wish Chad and his crew the best hopefully they will be home soon!